Walk in the July Fourth Parade on Barracks Row! Walk, ride, scoot, bike, dribble, (do it all!) in this year’s July Fourth Parade on Barracks Row! Want to help Save School Libraries? 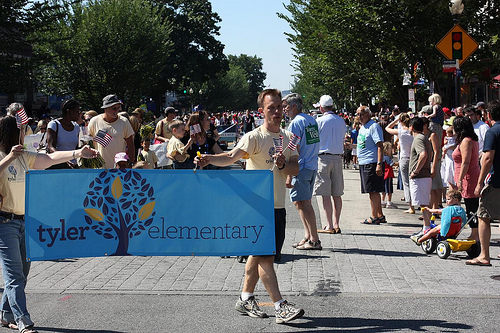 : Carry a “Save School Libraries” sign while you walk in the parade – pass it on! After the parade, stop by the CHPSPO table on Eastern Market Metro Plaza, say hi and show your support of DC Public School Libraries!